Dedicated to the famous carpenter's wheel quilt block. 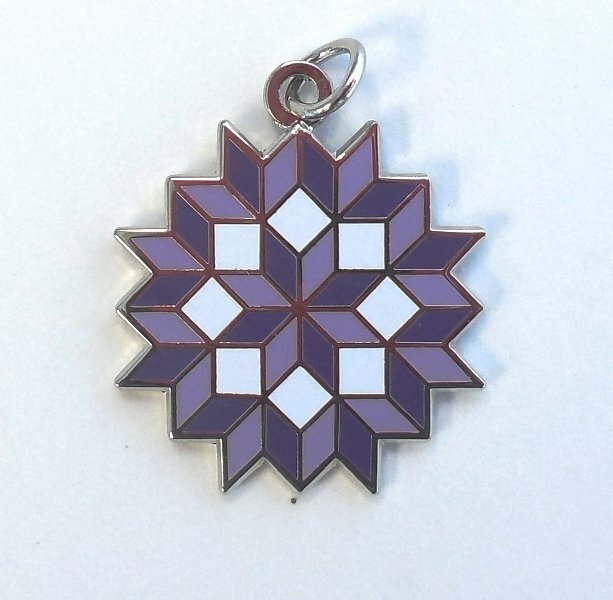 The charm measures is 3/4” wide, nickel metal, and semi-cloisonne. Comes with jump ring.